Jaipur, also known as the Pink City, is the capital of Indian state of Rajasthan and its largest city. The city was built in the 18th century by Sawai Jai Singh as India's first planned city, and today it's a major tourist attraction for Indians and for international visitors. It is a very picturesque city with splendid palaces, forts and historical monuments and belongs to the tourist Golden Triangle along with Delhi and Agra. It hosts several attractions including the City Palace, Govind Dev ji Temple, Vidhan Sabha, Birla Temple and several massive Rajput forts. It also serves as a stepping stone for those heading to the desert cities of Jodhpur and Jaisalmer. Jaipur is growing fast and various development projects are being undertaken by the government and private enterprises. Jaipur's nickname, the Pink City, is due to its distinctly coloured buildings, which were painted this colour to imitate the red sandstone architecture of Mughal cities. The present earthy red colour originates from repainting of the buildings undertaken for a visit by the Prince of Wales in 1876. Jaipur's climate is characterised as semiarid, with just a few rainy days per month for most of the year. The exception is the monsoon period from June to September, when heavy rain and thunderstorms are commonplace. Expect daytime highs of above +20°C throughout the year, and prepare for scorching heat in May and June. During the winter temperatures are mild, and while nighttime temperatures seldom drop much below +10°C, Jaipur has experienced temperatures below freezing. Jaipur gets its name from its founder Maharaja Jai Singh II (1693-1744), a great warrior and astronomer. He came to power at the age of 11 on the death of his father Maharaja Bishan Singh. Jai Singh’s lineage can be traced back to the Kucchwaha Rajput, clan who came to power in the 12th century. They were long-term rivals to the Sisodia Rajputs who ruled from Mewar. This rivalry led them to ally with the Mughals, and this alliance resulted in them eventually gaining a pre-eminent position in Rajasthan. Ruling from the magnificent Amber Fort which they built, the might of the Kucchwahas encompassed the kingdoms of Mewar (Udaipur) and Marwar (Jodhpur). After Jai Singh came to power, there was moment of disquiet when he supported Aurangzeb’s son Azam Shah’s bid to the throne. Azam Shah lost the battle of succession to his brother Bahadur Shah, who demanded Jai Singh’s removal and the installation of Vijay Singh to the throne of Jaipur. Jai Singh, not one to take setbacks lying down, formed a formidable front against the Mughals by aligning himself with other Rajput states and reinstated himself. After the dust had settled, peace reigned, the kingdom prospered and its borders expanded. Jai Singh built the city around the Amber Fort to serve as his capital, and the city was named Jaipur, after himself. Much of the credit for Jaipur goes to Vidhyadhar Bhattacharya, the chief architect from Bengal who, with Jai Singh’s approval, founded the city on strong scientific principles, laid out according to the Shilpa Shastra, the ancient architectural manual. It remains one of India’s best planned cities. However, expansion meant that the limited sources of water proved inadequate for the city. After Jai Singh’s death in 1744, his sons squabbled for power and without a monarch, the kingdom became open to invasion and neighbouring Rajput states and the Marathas usurped large areas of kingdom. The core, however, remained part of the kingdom, which lasted during British times. As with the Mughals, Jaipur maintained good relations with the British and during the war of independence in 1857 remained loyal to the Raj. Yet, the British gradually began to undermine the independence of the state and exercised greater control over the administration. In 1876, Maharaja Ram Singh painted the entire city pink, traditionally a colour associated with hospitality, to welcome the Prince of Wales (later King Edward VII) to the city. The tradition has been maintained and today all residents in the old city are compelled by law to preserve the pink colour. Jaipur has thereby earned the sobriquet of pink city. Maharaja Ram Singh also built the Ramgarh Lake to supply water to the burgeoning city. During the 19th and 20th centuries, the city’s population spread beyond its walls. In 1922, Man Singh II ascended to the throne and it was during his reign that civic buildings like the secretariat, schools, hospitals and other public buildings were built. After independence, Jaipur merged with the states of Jodhpur, Jaisalmer and Bikaner to form the state of Rajasthan. In 1956, Jaipur became the capital of the state of Rajasthan. Sarkar, Jadunath, (2009). A history of Jaipur. New Delhi: Orient Blackswan. A well written account of the history of Jaipur by prominent historian Sir Jadunath Sarkar. Jaipur – Nagaur - Deshnoke (India Charming Chaos) by Johnny Fincioen. This book concentrates on Jaipur and two small villages and puts them in historic context. The text and the 190 original pictures offer the reader a holistic view of the particular way of life in Rajasthan. 26.82416775.8122221 Jaipur Airport (JAI IATA) (is in the satellite town of Sanganer). Offers sporadic (chartered) service to London and Dublin. Direct flights to Singapore, Bangkok, Abu Dhabi, Sharjah, Muscat and Dubai are also available. Jaipur also has daily domestic air links with many Indian cities such as Jodhpur, Udaipur, Aurangabad, Delhi, Hyderabad, Kolkata, Goa, Chennai, Ahmedabad, Bangalore, Mumbai, Pune and Indore. Indian Railways connects Jaipur from all over the country and is one of the cheapest options. A number of daily trains connect Jaipur to Delhi, Ahmedabad, Agra, Mumbai, Jodhpur, Kota, Alwar and Ajmer. Daily connections are also available for Udaipur, Chittorgarh, Bikaner, Jaisalmer, Barmer, Kolkata, Jammu, Pathankot, Ludhiana, Kanpur, Roorkee, Haridwar, Gwalior, Indore, Jabalpur and Bhopal. Long-distance trains arrive from many other major cities including Lucknow, Allahabad, Varanasi, Vadodara, Surat, Nagpur, Bilaspur, Raipur, Patna, Ranchi, Bhubaneswar, Puri, Chennai, Bangalore, Mysore, Hyderabad, Goa, Mangalore, Kozhikode and Kochi. The most popular option from Delhi is the Shatabdi express which departs New Delhi station at 06:05 and reaches Jaipur at 10:30.
, which is the main station, Durgapura and Gandhinagar (Jaipur) — which is not to be confused with the Gandhinagar that is the capital city of the state of Gujarat. All trains stop at Jaipur Junction and a few trains stop at Durgapura and Gandhinagar stations also. There is an excellent bus service between Jaipur to Delhi by Rajasthan State Road Transport Corporation (RSRTC) with buses approximately every half an hour in both directions. Non-A/C and AC Volvo bus services are offered. The air-conditioned bus is taken through a well-maintained highway and has good shock absorbers. From Delhi you can board the bus from Bikaner House on Pandara Road next to India Gate. From Jaipur you can board the bus from Narayan Singh Circle or the main Sindhi Camp bus stand. You can also book tickets up to 6 days in advance from both these places. These buses typically take 6 hours for the Volvo and 6-7 hours for the others. There are also some private bus operators from Dhaula Kuan in Delhi and outside of Sindhi camp in Jaipur. No need to make advance reservations. The buses journey along bumpy backroads to avoid toll roads, and their shock absorbers are not good. If you plan to leave from Delhi airport, you can get off the bus at Dhaula Kuan and get an autorickshaw (to the bus stand) or perhaps a taxi from there. You do not need to enter congested Delhi. Express buses to several cities and towns within Rajasthan, such as Kota and Bundi, are also available. This is the most popular way of reaching from Delhi. The journey by car from Delhi to Jaipur takes less than 4 hr. National Highway no. 8 connects Delhi to Jaipur via the industrial township of Gurgaon. The road is excellent. There are also many car rental services in Delhi which can provide chauffeur-driven cars to Jaipur. Pink city by night tour (April 2019 price: ₹700). Started running in 2015, Jaipur Metro provides a fast, reliable and inexpensive way to get around the city. The Pink Line runs from Mansarovar to Chandpole station, which is around 1 km from the walled old town (a.k.a the Pink City), and passes by the Jaipur Junction Railway Station and Sindhi Camp (the interstate bus stand). Construction work is on full swing to extend the line and take passengers right into the heart of the Pink City, with two stations - Badi Chaupar and Chhoti Chaupar. The stations are supposed start running by 2018. Fares range between ₹5 and ₹25. A map of the Jaipur Metro with planned and completed lines. In Phase 2, a second line, the Orange Line, will connect the Jaipur Airport with the Pink City by 2021. Prepaid autos are available at the Jaipur railway station and the Sindhi Camp bus stand, although prices are a little inflated and often the same as you get with minimal bargaining. At a certain point, the rates were revised to around ₹350-400. The autorickshaw wallas will tell you to take the slip from the police booths. You can also go directly without the slip, but don't forget to bargain over the price in that case; it could be much cheaper. It'll be best if you start your sightseeing by 10:00 in the morning as some of the major spots close by 16:30 and each spot takes a lot of time, especially the forts. Some autorickshaw drivers will try to trick you into paying more than the agreed amount after the trip is over, but you should stick to the original amount decided. Police in Jaipur are very friendly, so in case you feel the autorickshaw driver is trying to misguide you or force you to hand over extra money, just refer the dispute to the police officers at various spots. Also some autorickshaw drivers will tell you to buy artefacts and gifts from some shops especially some on the way to Amber Fort. Firmly refuse to stop there as these shops operate on commission to the auto driver and fleece you. If you want to buy souvenirs, get them in city's main shopping areas like Bapu Bazaar. Take along some of your own information about the eating and shopping places as the drivers have their fixed commissions at shops and eating outlets, so you might end up paying more for an item or eating at an undesirable place. Autorickshaw drivers have been known to work together with the gem scammers. If you hire an autorickshaw for the day, he may suggest that you 'go for a beer' afterwards, and if you accept you will be introduced to the main man on the scam attempt, usually a very charismatic person who is clearly much wealthier than his rickshaw-driving 'friend'. Use common sense: why would a rickshaw driver who earns ₹350 per day (minus petrol) want to take you to a bar where beers are ₹75? Politely decline these invitations as they are invariably more trouble than they are worth. City bus #5 connects directly Amber Fort, Hawa Mahal, New Gate and the intersection of MI Road and Railway Rd every 10 minutes until 21:00. City bus #2 runs from the train station up Station Road to the City Palace, Minar, Observatory, etc. The bus driver will try to charge you more. They also sometimes ask you if you need change, or say they don't have change, despite it being obvious they do. The buses are generally overcrowded and are in a poor condition. You can view this link to learn about the bus routes in Jaipur. Fares are by distance, as show on these charts. Cycle-rickshaws are cheaper, but the amount of time it takes quickly makes it worth paying a few extra rupees and going by autorickshaw, bus or taxi. The advantage of traveling by cycle-rickshaw is that you can cover some great places in the narrow lanes of Jaipur which can not be seen if you hire some other mode of transport. Jaipur's planned, but beautiful Old Town has wide multi-lane roads and footpaths, which also means that it is much bigger in area than its counterparts that are generally full of alleyways and small streets. Even so, the Pink City's staggering architecture and endless colorful bazaars make walking around a treat, and many points of interest, like the Hawa Mahal, City Palace and Jantar Mantar are close by each other. The taxis in Jaipur are very convenient and comfortable. Most of the vehicles are Maruti Omni Vans or Tata Indica cars, which are much safer than Auto rickshaws, and the drivers are polite. If you are alone or going to an unknown destination, you are strongly advised to choose this option, even though the rates will be double that of an autorickshaw. you must call for a taxi, as it is nearly impossible to hail one unless you are at a major point like the airport. When you call, you should negotiate a fare (or agree on using the meter) and get the taxi's 'number'. The taxi will come pick you up, and call you when they are close. Taxis generally have yellow licence plates with black letters. Some taxis are yellow & black, which helps to differentiate them from the private cars. You can also try the Uber Supercabz or Ola Apps for taxi services which are not as expensive as hiring regular taxis. These services are becoming increasingly popular, so finding a car at a reasonable fare (often cheaper than a tuk tuk) is getting easier day by day. Car rental is one of the effective alternatives for wandering around in Jaipur. Almost all of the car rental services in India including Zoomcar, Myles and Avis offer services in Jaipur. There was a substantial fee increase in 2016 for the composite ticket. It now includes Amber Fort, Jantar-Mantar, Hawa Mahal, Albert Hall (Central Museum), Nahargarh Fort, Sisodia Rani Palace/Garden, Vidyadhar Garden, and Isarlat tower (Swargasuli). The Composite Ticket is for sale at all archaeological monuments and costs ₹300/40 Indian adult/student and ₹1000/200 foreign adult/student. The ticket is valid for two days. 26.98548675.8513451 Amber Fort (Amer Fort) (11 km North of central Jaipur, local bus #5 from Hawa Mahal or New Gate), ☎ +91 14 1253 0293. 08:00-18:00. This massive fort-palace complex built in hybrid Hindu-Muslim style dates back to Raja Man Singh and was the royal palace of the Kachwahas from c. 1600-1727. It's one of six world heritage forts in Rajasthan. The name has nothing to do with the rather pretty pastel yellow colour; instead, the fort is named after the town of Amber, in turn named after the goddess Amba. The main sights within the fort include the Sheesh Mahal, adorned with thousands on thousands of mirror tiles on the walls and ceiling. The fort/palace grounds are sprawling and the information panels (Hindi/English) are somewhat limited, so it might be worth getting an audio guide or a real guide. It's a bit of a hike up from the town, and the touristy thing to do is to ride on an elephant to the top (in order to get an elephant it is better to arrive there in the morning, otherwise at midday the elephants are done working; however, the road that the elephants walk on is not so long). If you hire a genuine guide, you will be taken not only to the Amber Fort but also to the Rajasthan Kala Mandir (a government operated shop) to buy souvenirs. Guides get a 2% commission on the items you buy there. Also see the Amber Light Show below. The site has come under scrutiny as tourists claim to have witnessed the elephants being beaten by handlers. If you walk up the hill to the Jaigarh Fort be prepared to pay the entry fee as the path terminates at a ticket window and there is no way around to the road. ₹100/20 for Indian adult/student and ₹500/100 for foreign adult/student. Included in the Composite Ticket. There is a special evening viewing from 06:30-09:00, ₹100 for all, Composite Ticket not valid. Camera: free. Audioguides ₹200. Elephant rides: ₹1100. Consider not taking Elephant rides as there have been many reports of these animals not being kept and cared for in humane ways. 26.98665475.8456542 Jaigarh Fort (A 1 km walk uphill from Amber Fort, or ₹ 100/200 for motorbike/auto-rickshaw), ☎ +91 14 1267 1848. 09:00-16:30. Never conquered in battle, this was considered the strongest of the three forts in the area. It is best known as the site of the world's largest cannon, the Jaivana, which was test-fired only once — according to legend, despite using only the half the design amount of gunpowder, the cannonball flew 35 km! A better reason to visit the fort, though, are the scenic gardens at the other end and the spectacular views over the Amber Fort and the hills around. The remains of the foundry where the Jaivana (and many more) were cast are also in the fort grounds. There are multiple boards with "no tips allowed," in case someone is bothering you. ₹35/100 for Indian/foreigner. Camera ₹50 (if you do not disclose that you have a camera and later the police/their person sees you talking a photo (e.g. with your mobile) they may ask you to show your ticket, and if you don't have one, will either ask you to buy the ₹50 ticket or penalize you). Video ₹200. Automobile ₹50. 26.93994675.8167683 Nahargarh Fort, Krishna Nagar, Brahampuri, ☎ +91 14 1518 2957. 10:00-18:00. The smallest of the three forts, notable primarily for excellent views over Man Sagar lake and the vast sprawl of Jaipur. Built in 1734 by the Maharaja Sawai Jai Singh II in a mix of Indian and European styles, the fort also houses the (relatively) compact Madhavendra Bhawan palace, although its former splendour is fading under layers of graffiti and pigeon droppings. Some of the film Rang De Basanti were shot at this fort. To get to the area where the "Pathshala" song was shot, take a left turn as soon as you enter the fort. An autorickshaw can be taken from the stand in front of the Amber fort. The fort also houses the Jaipur's Wax Museum and Sheesh Mahal, although tickets for these have to be bought separately and are ridiculously expensive. Beware if buying the Wax Museum and Sheesh Mahal combo ticket, you'll be paraded through the largely unimpressive museum and then be told to queue for the Sheesh Mahal which can last from 30 minutes to 2 hours. ₹50/200 for Indians/foreigners. Included in the 5-monument Composite Ticket. ₹400/₹700 (Indian/foreigners) for the tour of the Wax Museum and the Sheesh Mahal..
26.92575.8234 City Palace, Jaleb Chowk (Inside the old city, close to New Gate and Hawa Mahal), ☎ +91-141-4088888, +91-141-4088855. An imposing blend of traditional Rajput and Mughal architecture. It is a vast palace complex occupying nearly one-seventh of the Pink City. It was originally built by Maharaja Jai Singh II. The complex is divided into a series of courtyards, sprawling gardens and buildings. It is home to several palatial structures like the Chandra Mahal, (home to present Maharajah of Jaipur), Mubarak Mahal (housing a textile museum), Diwan-e-Khas (or Hall of Private audience housing the two largest silver vessels in the world, which are duly mentioned in the Guinness book), the Diwan-e-Aam ( or Hall of Public Audience) and the gateway Ridhi Sidhi Pol (with four small doorways decorated with motifs depicting the four seasons). Be warned that although they sell tickets for taking photos with a camera inside, most exhibits inside have a "no photography" sign. ₹75/₹300 for Indians/foreigners. 26.9022275.740627 Akshardham Temple, Vaishali Nagar, ☎ +91 141 224 6100. 26.9167975.85890310 Galwar Bagh (The Monkey Temple), Eastern edge of the city (adjacent to Suriya Mandir (aka The Sun Temple)). Locals and tourists come here to feed the surprisingly tame monkeys, use the temples, and enjoy the views. You can climb to the top of the hill and then down into the valley to see the Monkey Temple, while enjoying the company of countless monkeys, goats and other animals. At the top of the hill, you turn right to reach the Sun Temple for one of the best views of the city, especially at sunset. Monkey food is available for purchase at the bottom of the hill. Entrance to the temples are free, but local religious people may ask for donations and there is a ₹ 50 charge for using a camera. 26.92885575.82408611 Govind Devji Temple. For Vaishnavites, particularly followers of Lord Krishna, this is the most important temple in the world after Vrindavan. Lord Krishna presiding in the temple were brought to Jaipur from Vrindavan during Mughal rein. According to popular legend, Lord Krishna's idol in the temple looks exactly like Krishna's form while his incarnation of Earth. It is at Jainiwas Gardens, Jalebi Chowk, in the same campus as City Palace. The temple was constructed in 1590. Free. 26.92376775.81999312 Jain Mandir (Shivdas Pura) (15-16 km from Jaipur). Jain temple in Shivdaspura, well known as “Bara Padampura”, famous in north India for its very beautiful statue of God Padamprabhu (The 6th Teerthankar for Jains). God is sitting in a crossed leg seating posture. The statue is 0.7 m high and made of pure white stone. It was found while digging for foundation of a house. 26.89481875.81518213 Moti Dungri Mandir (Pearl Hill), JLN Road (City centre). Always open. This temple, dedicated to Lord Ganesha, is the main centre of religion for Jaipur people. Moti Dungri, meaning Pearl Hill, is a small hill that hosts a temple and a palace. It is said that this temple was built before construction of the rest of the city was begun, so as to protect the city. 26.94286575.82464314 Gaitore (Gatore) (In the walled city area named Brahmpuri, the foothills of Nahargarh Fort). A royal cremation site of the rulers of Jaipur. 26.92398375.82264215 Iswari Minar Swarga Sal, Chandpol Bazaar near City Palace (Look for the big tall tower near Tripolia Gate. The entrance is not from the main street, but is around the back of the shops. You can get there from the alley that’s 50 m west of the minaret along Chandpol Bazaar, there's also an entrance near the City Palace, which is 50 m west of Tripolia Gate and 200 m east of the minaret.). A minar (minaret) with great views of Jaipur. There is an alternative to the minar that's open 24/7. Just across the other side of the road (Chandpol Bazaar) from the minaret is a shopping complex with stairs up to a rooftop area where you can get basically the same view as from the minar. To get there, go through the arched gateway almost opposite the minar, then as soon as you get to the courtyard, look to the left for a metal spiral staircase and keep climbing until you reach the roof, walk around the corridor to the next set of stair and go up another floor until you know you can't go any higher. Indian/foreigner: ₹5/10, camera/video: ₹10/20. 26.92476275.8245616 Jantar Mantar (very close to the City Palace. ), ☎ +91 141-261-0494. 9:00-17:00. This UNESCO world heritage site is the largest of five astronomical observatories build by Maharaja Jai Singh during the period 1727-1734 in north India. The observatory consists of fourteen major geometric devices (or yantras in Hindi) for measuring time, predicting eclipses, tracking stars in their orbits, ascertaining the declinations of planets and determining the celestial altitudes etc. There is signage providing elaborate explanations for the use of each device, and guides can be hired to provide much the same information in a more digestible format. Guides' charge is 200 rupees for 4 people. For a better explanation, you can take a guide. The audio guide at the observatory isn't great and doesn't tell you very much more information than the already existent signs. The observatory, the water and the wind palace are free on 18 May. ₹40 for Indians, ₹200 for foreigners. 26.99110575.85122917 Panna Meena Ka Kund Stepwell (Near Anokhi Museum and Amber Fort). People come here to get water, swim or hang out with their loved ones. 26.912737875.820180118 Ram Niwas Garden (Albert Hall), exact city centre. Built in 1868 by Maharaja Sawai Ram Singh of Jaipur, this garden contains a bird park, zoo, Ravindra Rang Manch Theatre, art gallery, exhibition ground, gymnasium and several cafes and picnic spots. 26.91575.822321 Zoological Garden (inside Ram Niwas Bagh). 09:00-17:00. In the serene environment of Ram Niwas Bagh, this garden is prized for its rich flora and fauna. ₹10/100 for Indians/foreigners. 26.99262275.85081422 Anokhi Museum of Hand Printing (Kheri Gate, Amber), ☎ +91 141 2530226. Tu-Sa 10:30-17:00; Su 11:00-16:30. A beautiful clean museum dedicated to the traditional art of hand block printing textiles, this museum is housed in a restored heritage haveli tucked into the back streets of old Amber. Small cafe (see "Eat"), clean toilets, small shop selling hand printed contemporary wearable clothes and textiles, friendly staff and a printer and block carver demonstrating their crafts every day. 26.911775.819523 Central Museum (Albert Hall), Ramniwas Bag, Adarsh Nagar (Inside Ram Nivas Garden). 09:00-17:30. A fine example of Indo-Saracenic architecture, this building was designed by Sir Samuel Swinton Jacob and was opened as public museum in 1887. Maharaja Ram Singh wanted this building to be a town hall, but his successor, Madho Singh II, decided it should be a museum for the art of Jaipur and included as part of the new Ram Nivas Garden. The museum has a rich collection of artefacts like paintings, carpets, ivory, stone, metal sculptures and colourful crystal works. It is named after King Edward VII (Albert Edward), during whose visit to the city as the Prince of Wales, its foundation stone was laid on 6 February 1876. ₹40/300 for Indians/foreigners. ₹ 20/150 for Indian/non-Indian students. Students must cary their student identity cards.Included in the 5-monument Composite Ticket. 26.98775.85121 Amber Fort Sound and Light Show, Lower Amber Fort, ☎ +91 14 1270 9162, e-mail: sel.amber@ids.co.in. 19:00-20:00. Experience the history, culture and life of Amber through this spectacular show. Amitabh Bachhan narrates the story of Rajasthani kings with a script written by Gulzar. Don't forget the mosquito repellent. The light show can be watched from outside the fort, but the sound won't be audible from there. There is also a sound and light show at Jantar Mantar for ₹100. ₹200. 26.90675.80612 B.M. Birla Auditorium and Conference Hall, Birla Institute of Scientific Research, Statue Circle, ☎ +91-141-2385224, fax: +91-141-2385121, e-mail: seemachopra25@yahoo.com. These are at the heart of Jaipur. This auditorium is spread over 9.8 acres and includes a computer centre, interactive science museum, an information processing centre, library, a processing planetarium, eight research divisions, a dissemination cell and an auditorium. The auditorium has a seating capacity of 1,350 and is among the largest in India. This auditorium is built up to international conference standards. However, people visiting Jaipur for leisure are likely to be most interested in the Planetarium (all shows in Hindi) or Science Museum (under renovation as of November 2015) that are part of the complex. 26.914675.80983 Rajmandir Cinema, C-16, Panch Batti, Bhagwan Das Rd, C-Scheme, ☎ +91-141-2374694, +91-141-2379372. An experience in itself, and another "don't miss". Once known as the best cinema India, and still the best in Rajasthan, it offers an overwhelming experience. From the pushing, shoving, and general chaos in the ticket queue, to an audience that laughs, cries, cheers, claps, and consistently talks through the entire film, the Rajmandir provides an insight into Rajasthani culture. The films can be interesting; Masala movies are action, drama, mystery, suspense, and epics all wrapped into one single film, teeming with dances and obligatory wet sari scenes, and unabashedly lifting generous amounts of plot devices from Western films. The theatre-goers are very friendly and genuinely curious about overseas visitors who come to the Raj. Don't be put off by "House Full" notices at the entrance. The box office opens again a nominal 45 minutes before the next performance, and there are usually tickets available. Box seats at ₹ 120 go first, so its worth going early to avoid disappointment. Shows at 12:30, 15:30, 18:30 and 21:30. A great place to meet locals, with the nearby McDonald's as a central congregation spot. 26.75875.8394 Chokhi Dhani, 12 Miles Tonk Road, Via Vatika, ☎ +91-141-516 5000, +91-141-516 5015, +91-9667222203, e-mail: cdrajasthani@chokhidhani.com. The restaurants are open from 17:00-23:00. Around 18 km from Central Jaipur on the Jaipur-Tonk highway, Chokhi Dhani (Fine Hamlet in Rajasthani dialect) is a kind of virtual village and also a 5-star resort. There are lodging facilities available, but the real attraction is the evening fun-fairs. 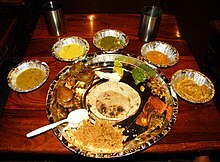 There are two excellent places to enjoy Rajasthani food served in the traditional mode at their resort. Chokhi Dhani a.k.a. Lalten Restaurant is a more popular place because it is on the main road near the airport and also has other attractions, such as horseback riding, camel riding, bullock cart rides, a maze, boating and kathputli (puppet) shows. You can also watch live folk dances and listen to live folk music for free. It gives the visitor a glimpse of culture from different parts of Rajasthan, and could be nice if you will not have time to see much of Rajasthan yourself. It opens at 17:00, and be sure to get there early as many of the sites are difficult to see when it gets dark. It's a 30-min rickshaw ride from Central Jaipur, or you can go there by bus or taxi, but you are best off making sure you have a ride back. Consider buying the pass for AC hall, because the outdoor seating is a self-served buffet, while in the AC Dining you'll be served food. This makes a massive difference when there are too many people at the restaurant, as the restaurant is unable to keep up with the demand for buffet food. 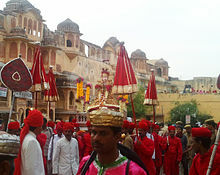 The Gangaur Festival of Jaipur is well known in India. It starts on the day after Holi (March or April) and lasts for 18 days. In Jaipur, a sweet dish called a ghewar is characteristic of the Gangaur festival. People buy ghewar to eat and distribute among their friends and relatives. The celebration is dedicated to the God Shiva and his consort, the Goddess Parvati. A procession with the image of Gauri commences from the Zanani-Deodhi of the City Palace. It then passes through Tripolia Bazaar, Chhoti Chaupar, Gangauri Bazaar, Chaugan stadium and finally converges near the Talkatora. 26.905375.77122 Nad Sadhna, E-122(A) Kataria Colony, Ram Nagar Extension, ☎ +91-141-2295153, +91-9414461059 (mobile), e-mail: nadsadhna@yahoo.com. An institute of Rajasthani music that holds group classes for vocals, guitars, synthesizer, tabla, sitar, flute, mouthorgan, dholak and dance. Tablas and sitars can be provided to students; other instruments must be brought by students to the class. Nothing is 'fixed price' in Jaipur, even in the self advertised government (RTDC) approved shops & emporiums. There are a few RTDC approved shops along "Amer Road" claiming to be government-owned and 'fixed price', but beware: they are frequently overpriced by as much as three times. Almost everything, from food to transportation to handicrafts, even accommodation can be bargained down to as much as a 60% discount off the quoted price. The lowest rates will be found in the bazaars of Bapu & Johari. Even here, keep inquiring in several shops as each one will have a different price for the same item. Don't be ashamed to spend an hour or more in each shop with the friendly shop owners sharing stories over masala chai as you look at their goods. While they are doing their best to run a business, do not overlook the genuinely hospitable culture of Rajasthani people. Jaipur has tens of bazaars of different sizes and specializing in different products. Expect a brilliant, colourful explosion of flowers, elephants, ox carts, and wares; a complete assault on the senses. The traveller will smell the deep aroma of spices in canvas bags, the fetid smell of animals and open sewers, the sweet waft of tea, and the crusty acrid burn of dust and exhaust. There are different specialist zones, whether it's food, flowers, textiles, carved statues or plumbing. It is chaotic and noisy, people may stare if you are a Westerner, and anybody who has something to sell will try to sell it to you, repeatedly. Watch cobras dance out of their wicker baskets, and don't be too surprised if the snake charmer slaps his cobra for having a wayward eye. Be prepared to be asked for money if you plan to take photographs of snake-charmers and beggars. While you should always be wary, be sure not to completely close yourself out to the locals as one of the highlights of Rajasthan is the chance to interact with the friendly people. Jaipur also has other markets like Civil Lines Market and MI Road and nearby markets. It also has a few malls like Crystal Palm Shopping Mall, Gaurav Towers, MGF Metropolitan Mall, Pink Square Mall, Triton Mall and World Trade Park. Jaipur is famous for its many jewel merchants where you can get great deals on semi-precious gems such as turquoise, lapiz, tiger eye and the star ruby (a gem found only in India that is distinctive for the 6-pointed star it shines under natural light). Jaipur is famous for its 'rajais', a type of light quilt stuffed with cotton. You can get colourful & soft `Shaneel ki Rajai' in a velvet finish. These are quiet warm, soft and long lasting. You can shop in the main market area. But remember to bargain. To be confident of quality, and are willing to pay a little more, visit government stores for rajais. 26.907775.7991 Gangaur Sweets, J-32, Subash Marg, C-Scheme, ☎ +91-141-382-835. Sweets for chamcham, also baked sweets and crispy samosas. ₹180-580 per order. Zolocrust, (Hotel Clarks Amer, Jawaharlal Nehru Marg, Near Malviya Nagar). The gourmet bakery and italian restraunt is operated by chefs of Hotel Clarks Amer and serves exquisite bakery items, it also serves vegan and vegetarian food. 26.91175.7983 Anokhi Cafe, 2nd Floor, KK Square, C-11 Prithviraj Road, ☎ +91 141 400 7245. Mostly organic non-Indian-style ("international flavour") home-style cakes, freshly prepared sandwiches, pastries, savoury snacks plus organic coffee and a selection of good teas. Quiet, relaxing, good value for money, situated outside the Anokhi shop (see Anokhi Museum of Hand Printing listing in "See"). 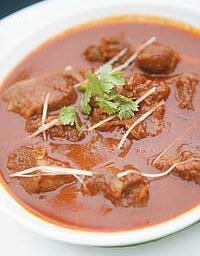 Salads: ₹120-200; sandwiches and savoury dishes: ₹150-300; desserts: ₹80-230; beverages: ₹25-250. 26.923175.79864 Ambrosia, In the Hotel Ramsingh Palace, B 2, Hathi Babau Ka Bagh, Kanti Nagar, Banipark (Right next to Statue Circle), ☎ +91 141 3153900. Open 24 hours. Serving vegetarian and vegan, Chinese food and barbecue atop a 100-foot-high building providing a breathtaking view of the city. In addition to these listings, see the "Do" listing for Chokhi Dhani. 26.849675.80935 Drop Zone Lounge Bar, 14/82 & 83, Niti Nagar, Opposite Capt Amit Bhardwaj Petrol Pump, Malviya Nagar, ☎ +91 141 2723594, +91 141 3155220. 11:00 to 23:00. A bar with a pleasant rooftop seating with fantastic views, and they serve food as well. Approx ₹600 for two (without alcohol), VAT extra. 26.905275.81246 Henry’s – The Pub, Park Prime Hotel, Prithviraj road, Near Statue Circle, ☎ +91 141 236 0202, e-mail: ppj@parkprime.in. 12:00-23:30. Cozy pub in the basement of the Prime Park Hotel, reportedly great for an evening out with your friends. Many different snacks and cocktails. On the downside some guests find the service is a bit slow. 26.922875.80487 Hightz, Hotel Man Singh, Sansar Chandra Rd, ☎ +91 141 236 0382. More of an upscale restaurant, serving Rajasthani and Chinese food. Meals and drinks for two ₹1700. 26.923275.802613 Waves (Wavs), Hotel Maharani Palace, Station Rd, ☎ +91 141 220 4702. 13:00-00:00. Bar and nightclub serving food. Special events during New Year, Valentine's Day and festivals. drinks from ₹135. Jaipur being a prime destination for the tourists of all ages, both international and domestic, has a plethora of budget accommodation options. Almost all of the pan-Indian hostel chains are present in the city, including Zostel, Moustache, Backpacker Panda, Roadhouse and others. These places are generally dominated by young backpackers. Homestays and guest houses that are hosted by local residents and offer to give you an authentic experience from interiors, to ambiance, to the food they serve. Try to find a place near the Pink CIty, or Hawa Mahal. 26.919275.80492 Bhim Vilas, 1 Gopinath Marg (Behind G.P.O.). Family-run guesthouse in the heart of the city, with 8 A/C rooms. The service is friendly and it is also excellent value for money. Standard Room: ₹1800 single; ₹2000 double; Deluxe Room: ₹2000 single; ₹2500 double; Super Deluxe Room: ₹2500 single; ₹2999 double; Suite: ₹2850 single; ₹2850 double; Extra Bed: ₹500. 26.925575.79083 Chit Chat Palace, D-160 Kabir Marg, Bani Park, ☎ +91-141-2201-899, +91-141-2202-843, e-mail: chitchat07@hotmail.com. Airport/rail station/bus station pick up available, nice restaurant. Standard double with fan and hot/cold shower: ₹1,500; Family room: ₹2,000. 26.91241675.7872884 Hotel Kalyan, Hathroi Fort, Ajmer Rd (1 km from railway station), ☎ +91-141-2368355, +91-9314501591, fax: +91-141-4015919, e-mail: hotelkalyan@yahoo.co.in. Check-in: 12:00, check-out: 12:00. 2-star hotel with a quiet and relaxing atmosphere. Free parking and pickup is available from the train station and central bus stand. Tasty restaurant and good service. ₹850-950 for non-air-con double room; ₹1200-2595 for air-con double room; bigger rooms are available for up to 4 guests. 26.9809575.850665 Hotel Malak Mahal, 54, Near Jal Mahal, Amer Rd, ☎ +91 8890825040, +91 88908 25040, e-mail: hotelmalakmahal@yahoo.com. This hotel, which opened in 2012, has 45 rooms, an in-house restaurant and reserved parking spaces. It also provides free Wi-Fi, air-con rooms with attached washrooms and a nice guest service system. Their reservation phone number is covered 24/7. Heritage Deluxe: ₹1500 (double occupancy)/Negotiable; Heritage Suite: ₹2000 (double occupancy)/Negotiable; both tariffs include taxes and breakfast. 26.916275.79566 Hotel Pearl Palace, 51 Hathroi Fort, Hari Kishan Somani Marg, Ajmer Road, ☎ +91 141-2373700, e-mail: reservation@hotelpearlpalace.com. The place is designed as an art museum. Wonderful roof top patio restaurant. The owners are nice but the front desk clerk is very moody. They do not always honor reservations made from their website. air-con rooms from ₹1200. 26.923675.79887 Hotel Ramsingh Palace, B-2, Hathi Babu Ka Bagh, Kanti Nagar, ☎ +91 141 4005191 (Mr. Mahendra Singh), e-mail: info@hotelramsinghpalace.com. Check-out: 12:00 noon. Comfortable beds, each room comes with LCDTV with multiple channels. Walking distance to the train station and central bus stand. Airport/rail station/bus station pick up available, multi-cuisine restaurant. Deluxe room: ₹1700-2200; Super Deluxe room: ₹2000-2500; Family Suite: ₹2800-3800; Extra bed: ₹250-500. 26.92175.79798 Hotel Sangam, 17 Motilal Atal Rd, ☎ +91 141 237179192, e-mail: hotelsangam@rediffmail.com. Good mattress, TV, restaurant, includes breakfast toast. ₹1,000 for non-air-con room; air-con rooms starting at ₹1,500. 26.92830775.79809210 Jaipur Inn, B-17, Shiv Marg, Bani Park, ☎ +91-141-2201121, e-mail: info@jaipurinn.com. Check-in: 12:00, check-out: 12:00. Hot water, air-con, TV, heater, and telephone in every room. The hotel also has a backup power generator and a lift. Nice rooftop bar with great views over the city. All room rates include rooftop Wi-Fi and free cancellation. They can also serve food. During low season (April/May/June), 50% discount if you stay 2 days or more. Standard Room (non-air-con): ₹1250; Deluxe Room: ₹1500; Super Deluxe Room: ₹2000; Luxury Room: ₹2950; Service Apartment (3 rooms): ₹5000. 26.92875.786112 Krishna Palace, E-26, Durga Marg, Bani Park, ☎ +91 141 2201395, +91 94 14311252, e-mail: info@krishnapalace.com. Heritage property which looks like a palace. Nice garden, quiet and very clean. Traditional-style spacious rooms with private bath and hot shower. 24-hr service. Comfortable beds, each room comes with colour TV with all channels. Rooftop and garden restaurant available. Walking distance to the train station. Managed by a friendly family. Very quiet and relaxing neighbourhood surrounded by greenery. Pickup service from the train and central bus station is free of charge. Standard (non-air-con): ₹850 single/₹950 double; Deluxe air-con: ₹1350 single/₹1450 double; Superior air-con: ₹1500 single/₹1750 double. 26.920975.797314 Pink City Guest House, 18 Motilal Atal Rd, ☎ +91 141-5106184. Clean rooms and good value with reliable hot water, TV and Wi-Fi - just ask the guy at the reception. Steps away from bus station and few min walk from old town and/or rail station. Female manager speaks great English, her number is ☎ 9829 804048. Five stores down the road south on that side of the street is an amazing vegetarian restaurant Mohal's which does great cheapish food. Make sure you get one of the rooms facing the quiet backstreet. The hotel lacks its own website, and current tariffs seem to be impossible to find online. As of 2012 or so, they charged ₹400-700 for a double room, with off season rates of ₹250 for a very basic room without attached bathroom. 26.923875.790515 Satkar Hotel, 187, Barodia Scheme, Banipark (Near railway station and bus stand), ☎ +91 94 14255755, +91 14 12202020. Check-in: 11:00., check-out: 12:00. Family run budget hotel, free pick up from railway station, bus stand, free Wi-Fi. Air-con and non-air-con rooms with attached bathrooms and TV. Hot shower, food, travel desk, laundry, 5 min walk from railway station. Not especially clean, ceiling fan noisy. Laundry is available for a charge. Walking distance to the bus station in a seedy neighbourhood. A/C Single: ₹900; A/C Double: ₹1250. 26.917475.795216 Sunder Palace Guest House, No. 46, Sanjay Marg (near Hathroi Fort), ☎ +91 141 2360178, e-mail: sunderpalace@hotmail.com. Clean rooms, great service, convenient location, a rooftop restaurant, a lovely garden area and a terrace. Tiled double room with cable TV, big bathroom with hot water and a Persian carpet area with a small table where you can sip tea and read. Internet available, but there was a charge for this service a few years ago, so enquire. Starting at ₹1,450 for air-con double room. 26.927475.789217 Anuraag Villa, D-249, Near Collectorate Circle, ☎ +91-141-2201679, fax: +91-141-4025096, e-mail: info@anuraagvilla.com. 3-star hotel 15 min by rickshaw from the city centre. Peaceful place to relax with clean, comfortable rooms and free Wi-Fi Onsite restaurant offers very good vegetarian options Rajasthani style. Starting at ₹1650 for air-con doubles; ₹2050 for double with garden view. 26.921775.804618 Arya Niwas, Sansar Chandra Rd (behind Amber Towers), ☎ +91 141 237 2456, +91 141 237 1773, +91 141 510 6010, fax: +91 141 236 1871, e-mail: tarun@aryaniwas.com. A feudal lord's mansion converted into a hotel with the ambience of a stately home. Centrally located, family managed, cafeteria serving decent vegetarian food and a garden to relax in during the evenings. Starting at ₹1445 for an air-con double room, taxes not included. Buffet breakfast: ₹190 per person every day; buffet dinner, available only on weekends: ₹225/person..
26.8444475.7472219 Colonel's Homestead Jaipur, 10 & 11 Cosmo Colony, Ram Marg, Amrapali Rd, Vaishali Nagar (near Vaibav Inox Multiplex), ☎ +91 99 8379 6656, e-mail: colonelshomesteadjaipur@gmail.com. Check-in: 12:00, check-out: 12:00. Run by a retired army colonel and his wife, who hails from a royal family of Rajasthan, a peaceful place to stay adjoining 50 acres of bird-filled nature. Home-cooked meals available, and good advice on attractions and shopping. ₹1500/night for a double room; all rooms are air conditioned. 26.891275.766320 Hotel Classic Holidays, A-79, Shyam Nagar, Sodala, Ajmer Rd, ☎ +91 141 229 3890, fax: +91 141 229 3999, e-mail: hotelclassicholidays@gmail.com. In a residential area with peaceful, clean, green surroundings. Starting at ₹1200/night for double rooms. 26.929975.788122 Hotel Meghniwas, C-9, Sawai Jai Singh Highway, Bani Park, ☎ +91 141 2202034, e-mail: email@meghniwas.com. It also has a garden and a swimming pool, which is free for guests and open to non-guests for a charge. Doubles starting at ₹3,800. 26.937375.796523 Hotel Sarang Palace, A- 40, Subhash Nagar Rd, Near Peetal Factory, ☎ +91 141 2281199, e-mail: reservation@hotelsarangpalace.com. 3-star heritage hotel, offers free pick up from train and bus station. Starting at ₹1,650 for doubles without breakfast and ₹1,950 including breakfast. 26.926875.789825 Milestone 251, Near Collectorate Circle, D-251, Devi Marg, Bani Park, ☎ +91 96107 1000, e-mail: reservations@milestone251.com. Near the railway station in Bani Park area. Double rooms start at ₹2,100. 26.92875.792527 Umaid Bhawan, D1-2A, Behari Marg, Bani Park, ☎ +91 141 2206426, fax: +91 141 2207445, e-mail: reservation@umaidbhawan.com. A nicely restored heritage hotel with clean, comfortable rooms, many with balconies. Beautifully decorated, it looks like a mini-palace. It has a roof-top restaurant with views of the rising sun in the morning and the setting sun in the evening. The swimming pool is on the ground floor, and it's cold in the off-season. The friendly and helpful staff will arrange airport/train station pickup. Great value, a great place. Doubles start at ₹2,199. 26.927975.789128 Umaid Mahal, C-20 / B-2, Bihari Marg, Sawai Jai Singh Highway, (Opp. Lane of K.P. Automotives, Bani Park), ☎ +91 141 220 1952. A very nice heritage house hotel with 3-star facilities and also offers free pick up from train and bus station. Doubles start at ₹2,199. 27.076475.938730 Lohagarh Fort Resort Jaipur, Kachera Wala, Kukas (NH-8) (Via Delhi-Jaipur National Highway), ☎ +91 8003395955, e-mail: sales@lohagarhfortresort.com. Lohagarh Fort Resort Jaipur is situated in 13 acres of green lush mountain area in Kukas, a 50-minute drive from Jaipur. They have cottages with private pool, tree houses and a Swiss tent. Apart from accommodation they offer spa & massage and their pool is one of the biggest in the city. The in-house restaurant is as big as a normal hotel and it has entertained celebrities like Jonty Rhodes and IPL cheerleaders. From ₹5,787; Airport shuttle fee: ₹2,500 per vehicle (round trip). 26.906675.822931 Naila Bagh Palace (Heritage home hotel), Moti Doongari Road (Landmark), ☎ +91 141 260 7492, e-mail: reservation@nailabaghpalace.com. Check-in: 12:00, check-out: 12:00. Heritage home built in 1872 by the Prime Minister of Jaipur (Late Thakur Fateh Singh ji of Naila), now owned and managed by his 7th-generation descendants. It is surrounded with sprawling gardens and open spaces on all sides; the large front courtyard provides ample seating space for our visitors along with providing a calm and serine ambience. One of Jaipur's oldest heritage buildings and home the erstwhile Prime Minister, Thakur Fateh Singh Ji. Surrounded with gardens and open spaces on all sides, large front courtyard provides ample seating, antique chandeliers, original frescos, colonial furniture and a heritage of family history on display. Swimming pool, modest gym, Wi-Fi in some areas. From ₹4,200 including breakfast, taxes excluded. 26.896275.808333 Taj Rambagh Palace Hotel. A former palace and an excellent place to stay. ₹19,000-128,000. Breakfast ₹2,000 additional. Rate includes Wi-Fi. Beyond the standard dangers of travelling in India (thieves, hustlers, touts, questionable drinking water), Jaipur has developed its own set of unique scams. You may be approached by a local, sometimes youths on motorbikes, who claim that Westerners are unwilling to engage with the Indian people. "Why don't tourists want to talk to me?" or "I am a student, I want to learn about your culture" is a common opener. They may also try to make you feel guilty by claiming "It is Indian culture to be help." If you engage them, the scam artist will invite the visitor to drink tea. Frequently, the tourist will only be told of the gem stones the next day or after dinner. Usually it is some sort of tax problem. The unwitting mark is then sold fake stones for resale in his/her home country. Even if stones are posted in front of your eyes, you are more likely to see Elvis than the gems again. As a general rule, do not accept tea from strangers, but in addition be wary of any who invite you to talk in secluded areas. The easiest is a simple and polite refusal of any offer, even if just a drink and chat. You may need to firm in your refusal, and walk away. If you are a Westerner and a person outside your hotel accosts you, then it's likely the person is scheming to acquire your money. There have been reports of smugglers trying to entice foreigners to assist in smuggling items. Under no circumstances accept: smuggling is a serious offence. There are many other fascinating and beautiful places to visit in Rajasthan. If you are booking train tickets out of Jaipur, make sure to ask for Tatkal tickets at the reservation office, as tickets to just about everywhere sell out weeks in advance. Tatkal (last minute) tickets only open for sale the day before the train leaves, and are not always offered voluntarily by the staff, who will simply tell you the train is full. This city travel guide to Jaipur has guide status. It has a variety of good, quality information including hotels, restaurants, attractions and travel details. Please contribute and help us make it a star!